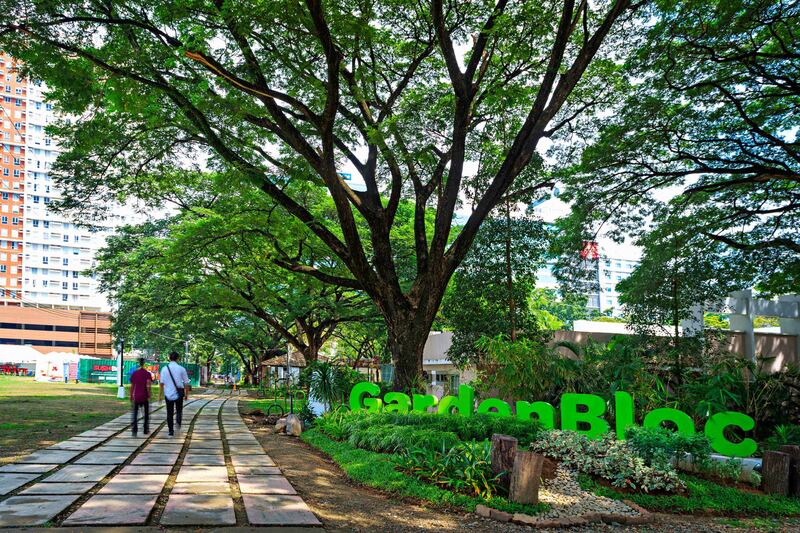 Garden Bloc | Cebu Holdings, Inc.
CHI-subsidiary, Cebu Property Ventures and Development Corp. launched the Garden Bloc—an expansive garden enclave which serves as a relaxing and re-energizing space for busy office workers. Since it first opened in December 2015, the Garden Bloc has become the newest outdoor lifestyle destination where Cebuanos converge. The Garden Bloc hosts exciting dining concepts all under an outdoor garden setting. With newly lined pathways, this area can also provide quiet respite for those who want to enjoy a leisurely walk, jog, or run. This unique breathable space in the middle of a bustling metropolis that encourages the members of the community to walk and converge outdoors. At the center of the Garden Bloc is a 5,000-square meter central events area which will host a variety of garden, outdoor, and wellness events. Since the Garden Bloc is at the heart of Cebu I.T. Park, a mixed-use development, its proximity and accessibility to work and residential buildings makes it easily walkable—promoting an active lifestyle and helping reduce carbon footprint from the use vehicles.